These screw-in 67mm macro wet lens available in two different strengths (+10 or +20). Manufactured from anodised aluminium with high quality glass lenses, lens coating does not come off with use! Visit our 67mm Macro Wet Lenses page to help you decide which lens suits your needs. Visit our 67mm Wet Lens Comparison page for photo results of these lenses alongside other popular wet lenses. 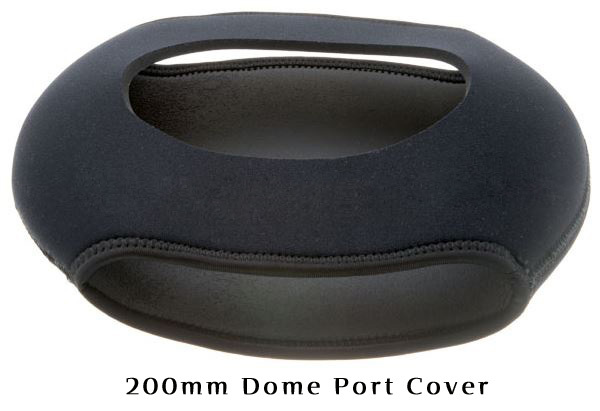 Soft padded pouch for storing your 67mm Macro Wet Lens while underwater and above water. Pouch has pull-string cord/lock and a clip to attach to your BCD. Can be used to store many different items underwater also. Size is 7cm wide x 10cms deep. Contact us for guidance on which lens suits your requirements. This colour filter is designed to correct the over-blue experienced in natural light underwater photography. The red/orange tint of the filter is balanced to bring back natural colours in the typical shallow tropical seas of the world. The filter can be mounted externally (wet) on the outside of your housing or between your housing and a wide angle wet lens. By setting white balance manually will give the best results. This filter has the industry standard 67mm thread found on the front port of many compact & mirrorless camera housings. This wide angle wet lens, can be removed underwater. It fits to the front of many underwater housings via a 67mm thread (see our Swing Away 'Flip' Mounts page). The maximum view angle is around 100° underwater so is excellent for wide angle scenic images. This is the latest Inon wide angle lens with newly designed optical construction, using highly refractive optical elements providing larger effective diameter of the rear optical element which accommodates the latest camera models with larger image sensors and brighter master lenses. The optical design allows to shoot very close to the subject with ultra wide viewing angle for close-focus wide angle photos or macro-wide photography. Also see the optional dome unit (below) for this lens below. This Super Dome Lens option is a dedicated for the Inon Wide Angle Lens (see above). It increases the effective underwater viewing angle of the Inon Wide Angle Lens from 100° to 144° when fitted to the front. The unique optical design allows the photographer to get closer again than the standard Inon Wide Angle Lens. Which is great for wide angle photography in lower underwater visibility, what we know as Close Focus Wide Angle Photography. The Super Dome Lens Unit II is made of optical glass with inner anti-reflection multi-coating to minimize flare and ghost in back-lit conditions. - Suits many mini-dome ports on various camera housing's, including INON Super Dome Lens II, Zen 100mm Domes and Nauticam Mini Domes. Uses velcro straps to attach around port rear. Protects your port while handling on boats, dive entry, rinse tanks etc. - Suits Olympus PEN & OMD housings fitted with Standard Flat Port (PPO-EP01), and Dome Ports like ZEN 9-18mm, Zen or Athena 8mm. Also many other ports on other camera housing's. Like ZEN Compact Dome Port on Nauticam DSLR's. 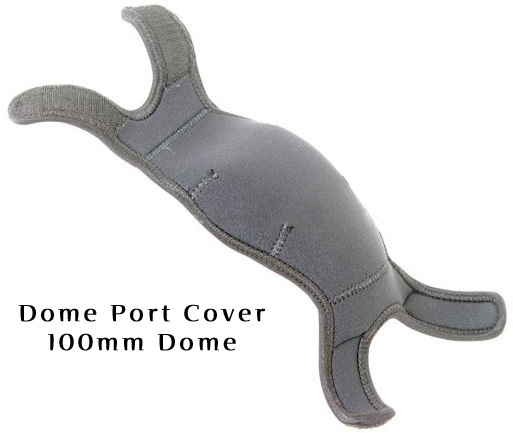 ​This one piece cover is shaped for ease of installation & removal underwater. Protects your port while handling on boats, dive entry, rinse tanks etc. - Suits many ports on various camera housing's, including Zen 170mm & 200mm Dome Ports and Nauticam 180mm Dome Ports. Slips over port front and around dome shades to protect your port while handling on boats, dive entry, rinse tanks etc.